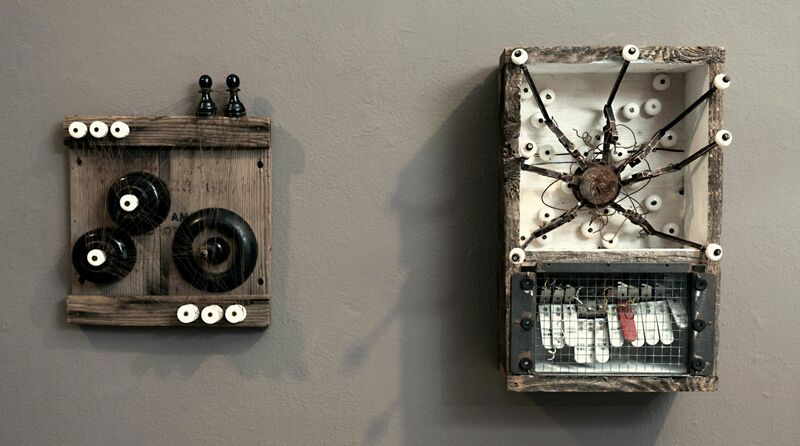 …and turning them into precious objects. 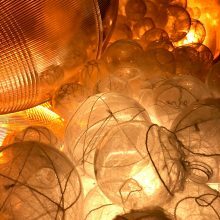 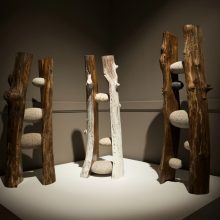 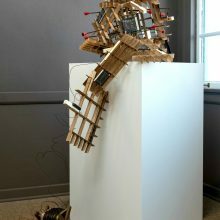 In this process, she fuses the history of disparate materials to create new beginnings, representing the cyclic nature of all things. 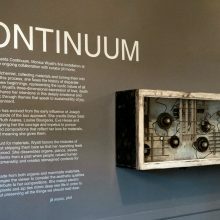 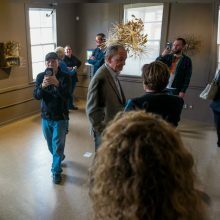 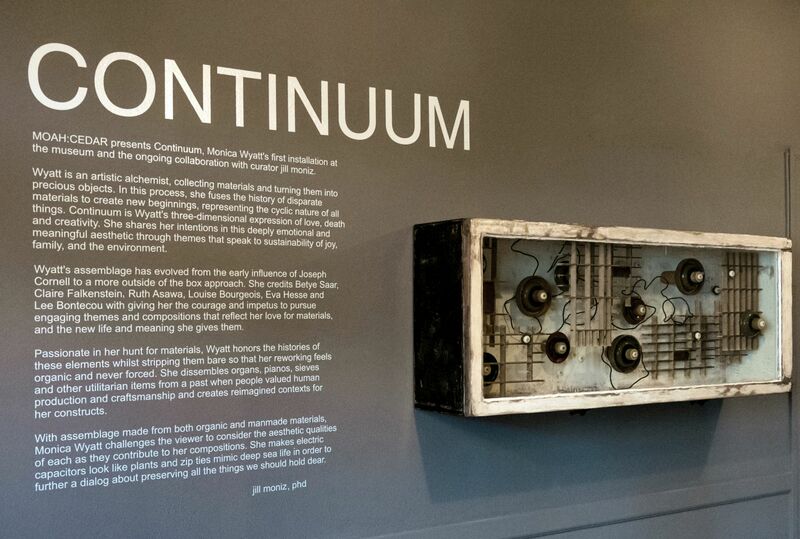 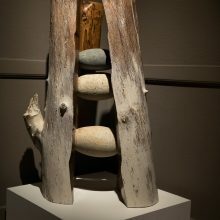 Continuum is Wyatt’s three-dimensional expression of love, death and creativity. 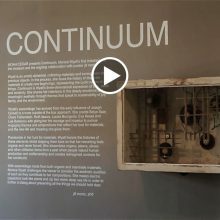 She shares her intentions in this deeply emotional and meaningful aesthetic through themes that speak to sustainability of joy, family, and the environment. 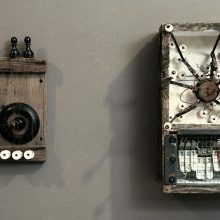 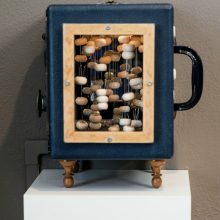 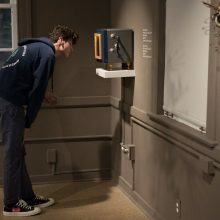 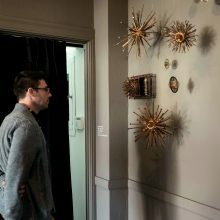 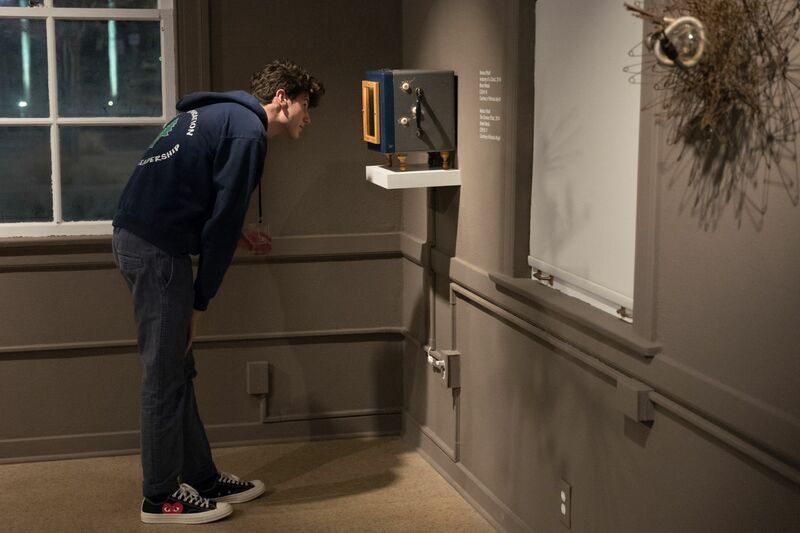 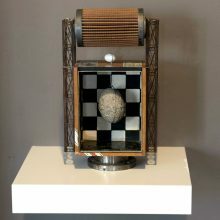 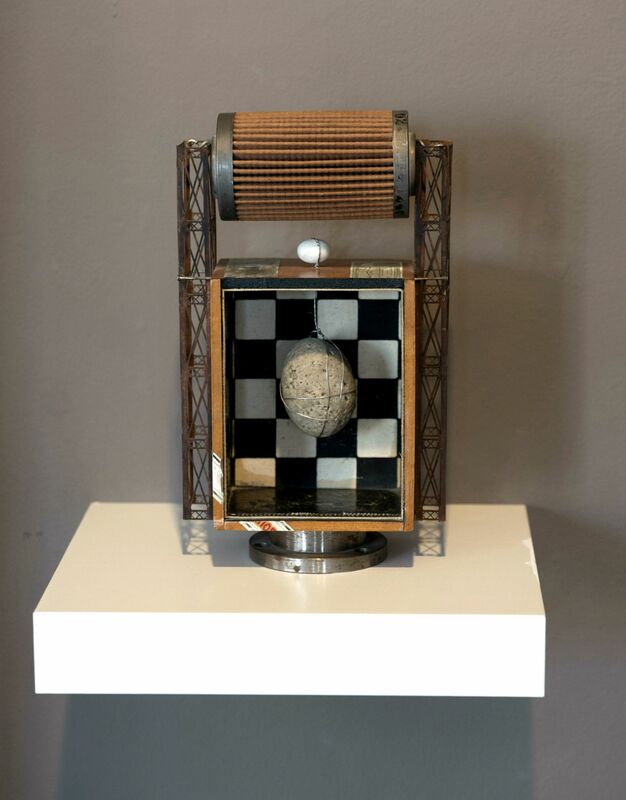 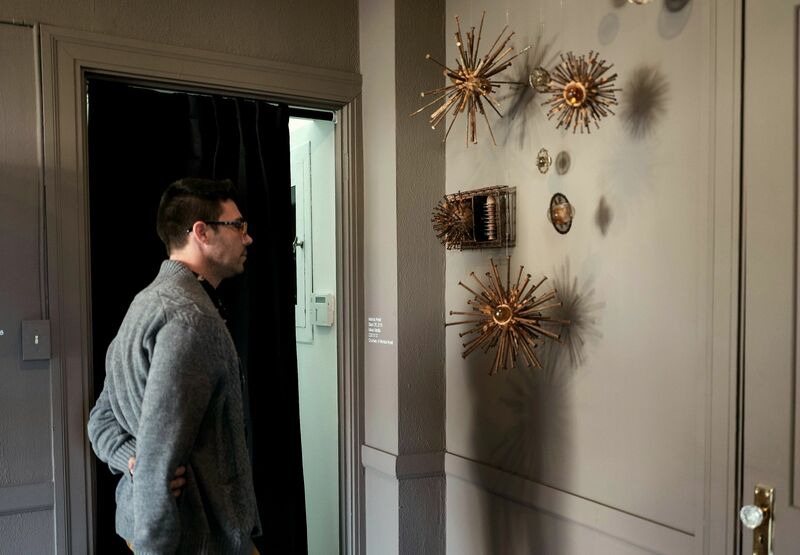 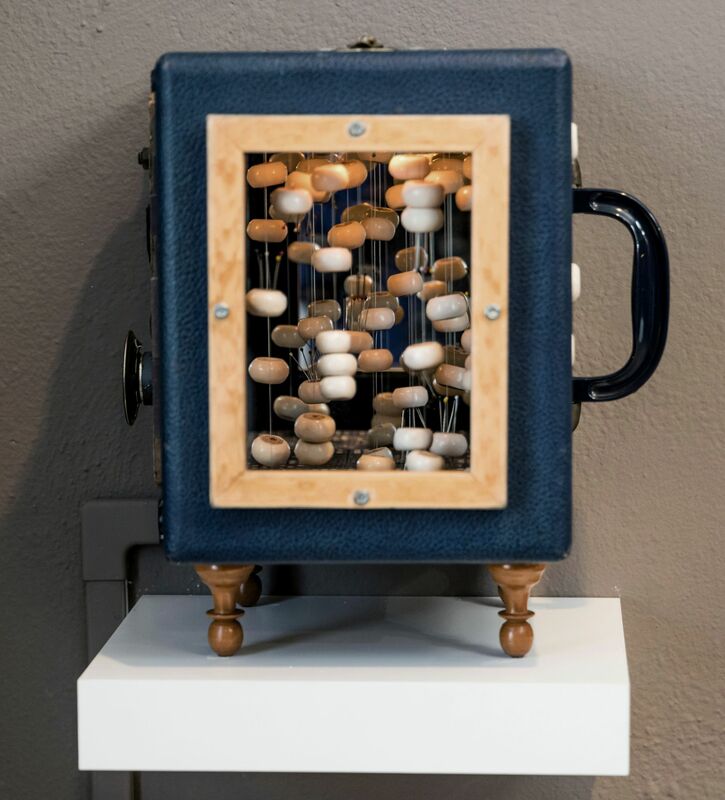 Wyatt’s assemblage has evolved from the early influence of Joseph Cornell to a more outside of the box approach. 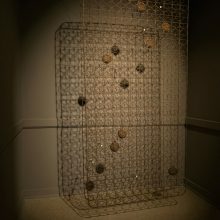 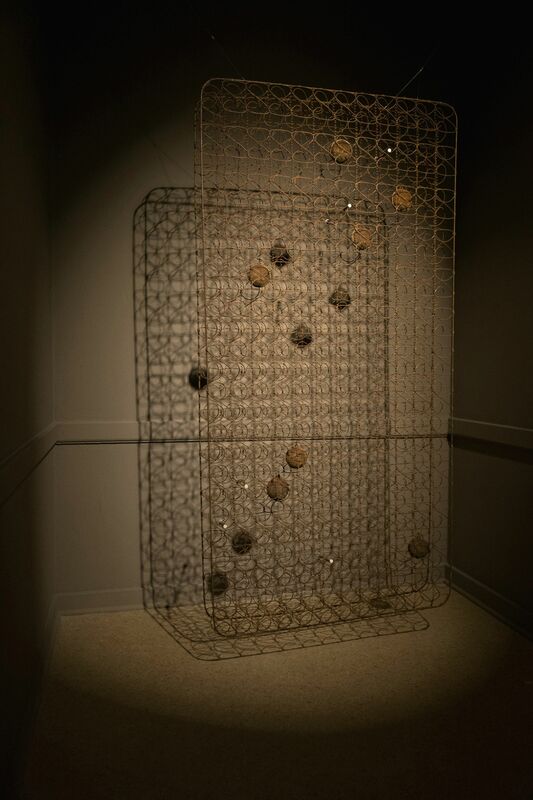 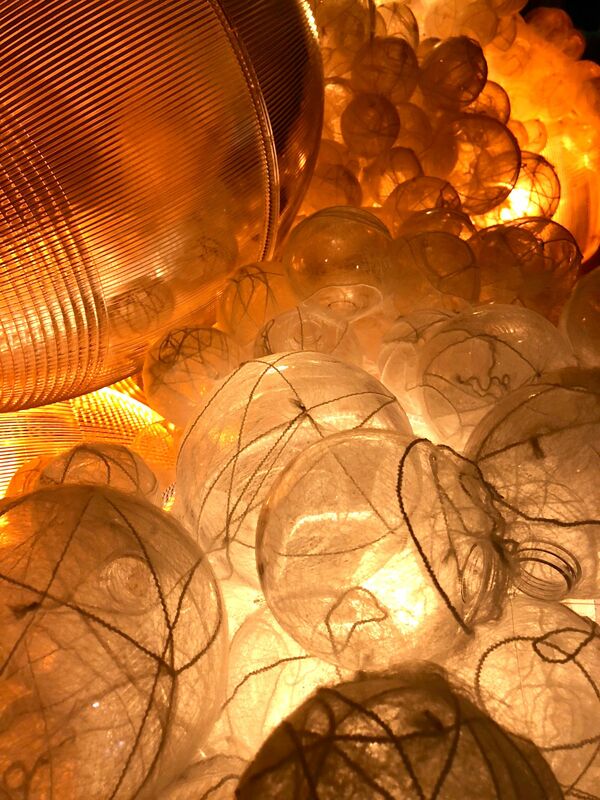 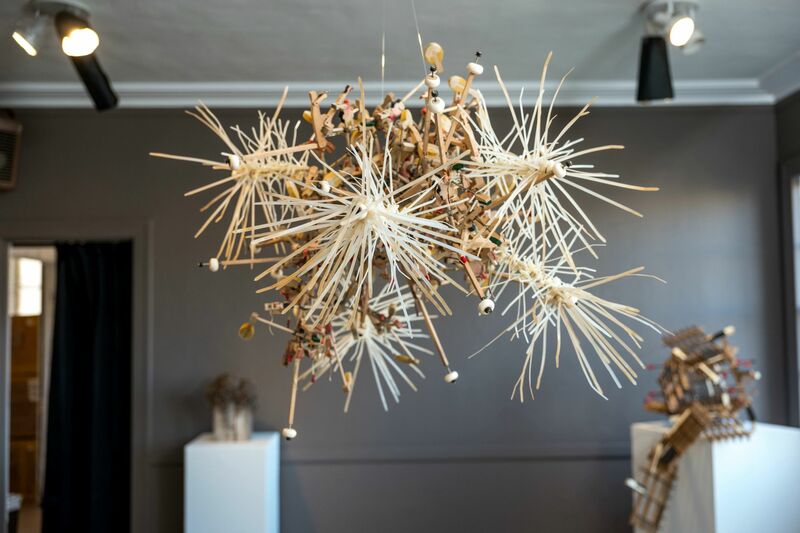 She credits Betye Saar, Claire Falkenstein, Ruth Asawa, Louise Bourgeois, Eva Hesse and Lee Bontecou with giving her the courage and impetus to pursue engaging themes and compositions that reflect her love for materials, and the new life and meaning she gives them. 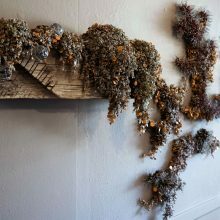 Passionate in her hunt for materials, Wyatt honors the histories of these elements whilst stripping them bare so that her reworking feels organic and never forced. 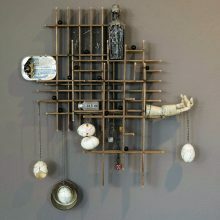 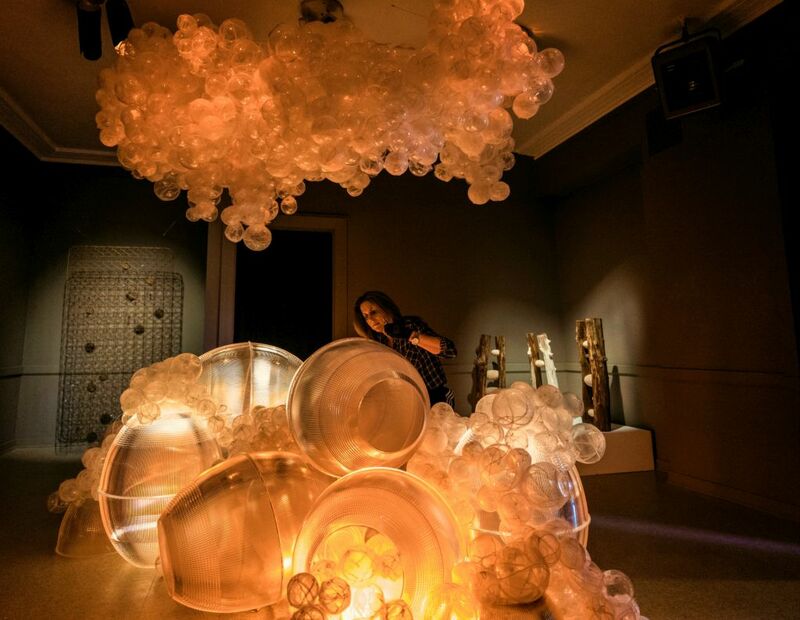 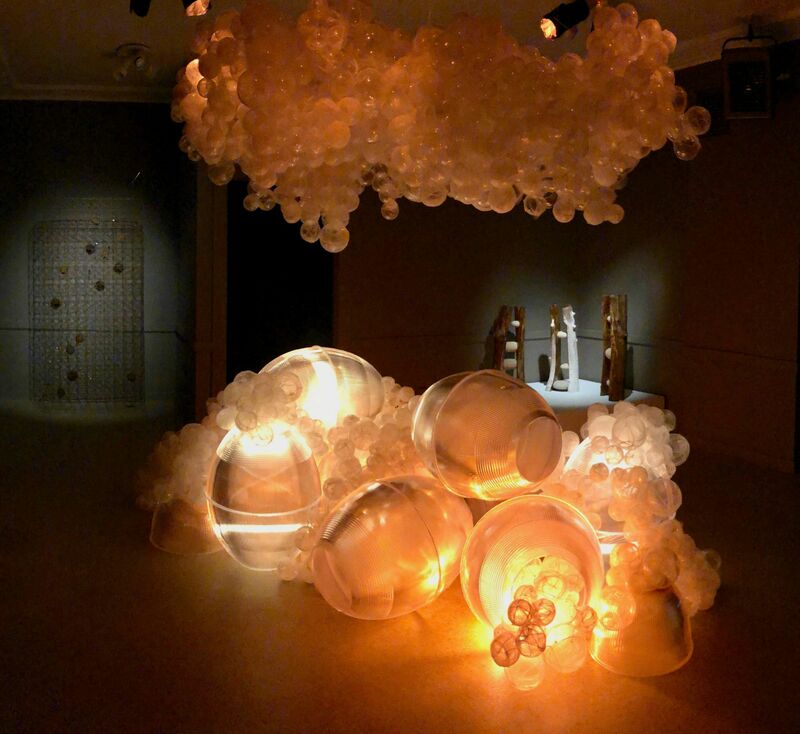 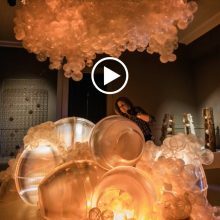 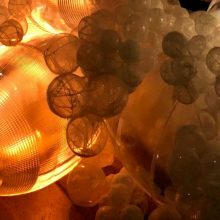 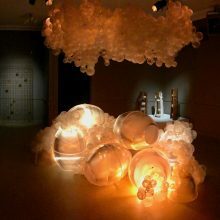 She dissembles organs, pianos, sieves and other utilitarian items from a past when people valued human production and craftsmanship and creates reimagined contexts for her constructs. 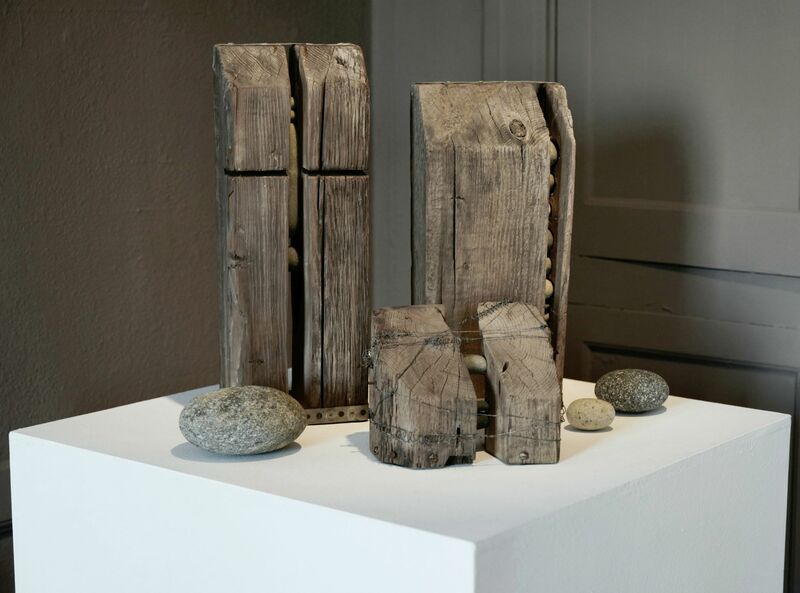 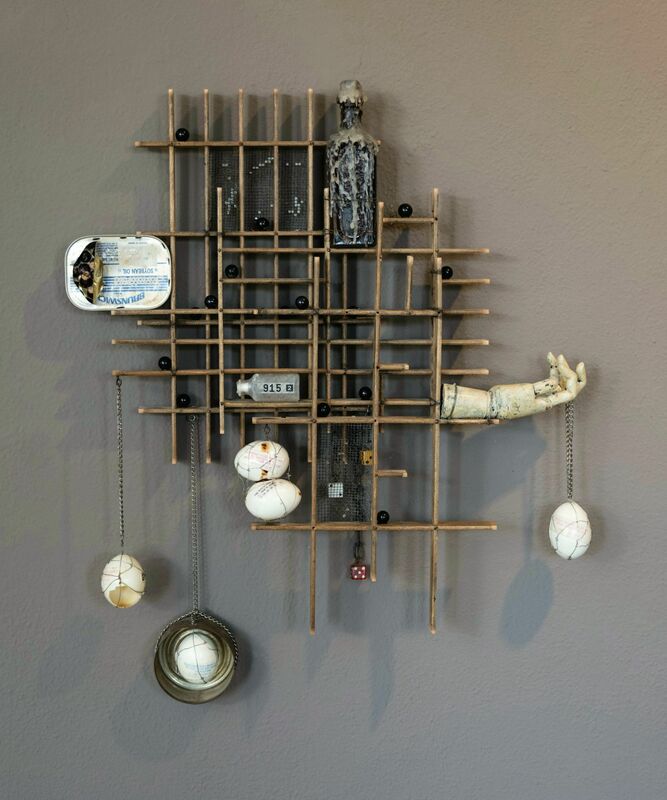 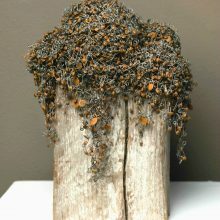 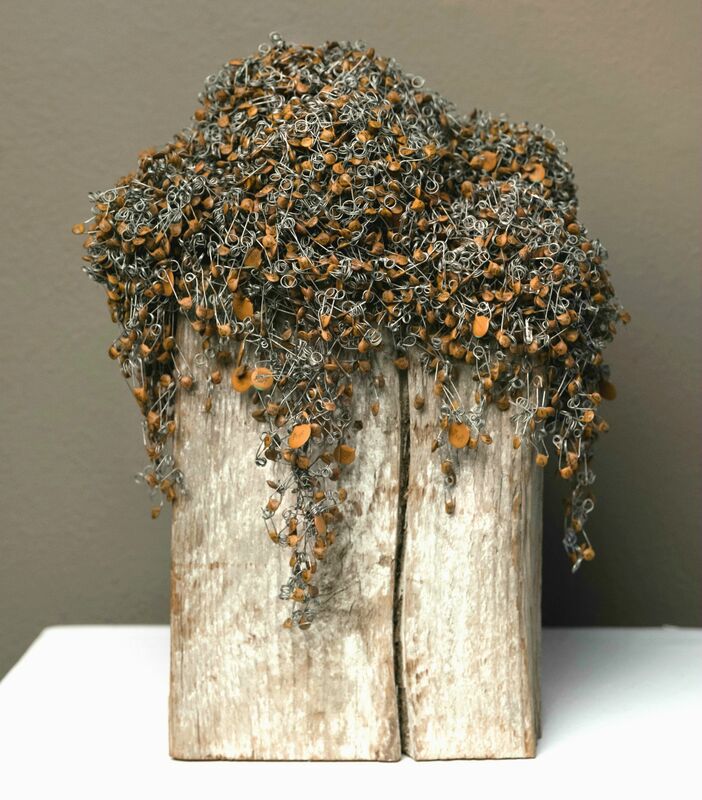 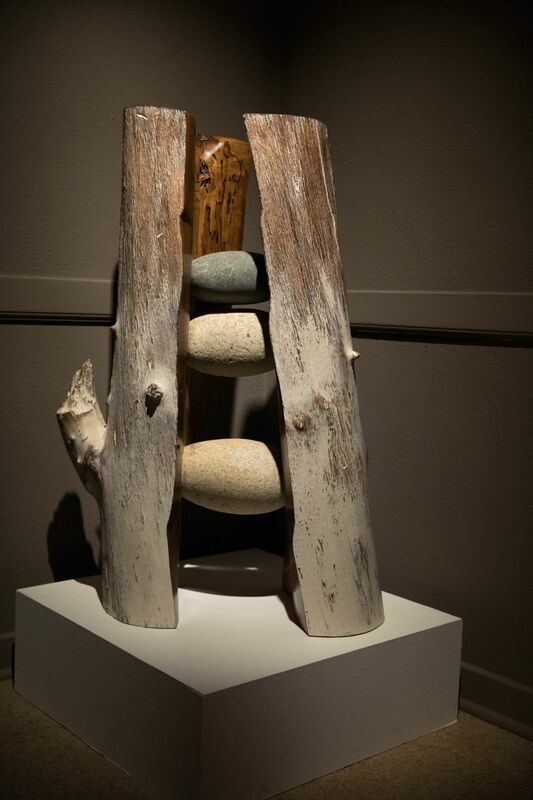 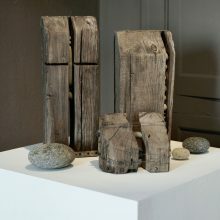 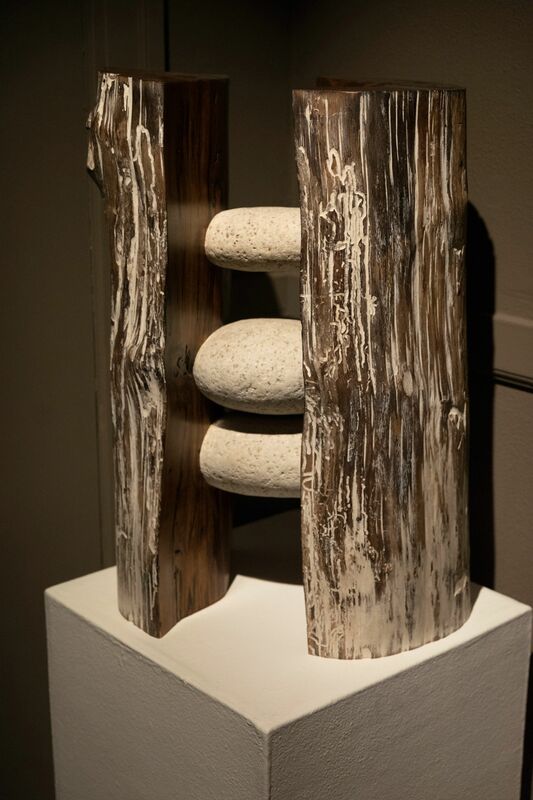 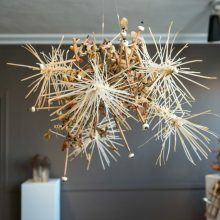 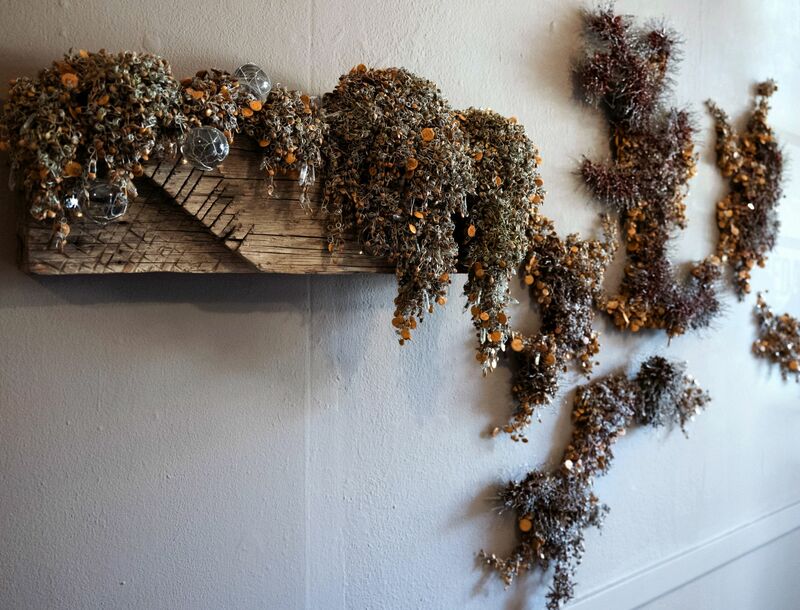 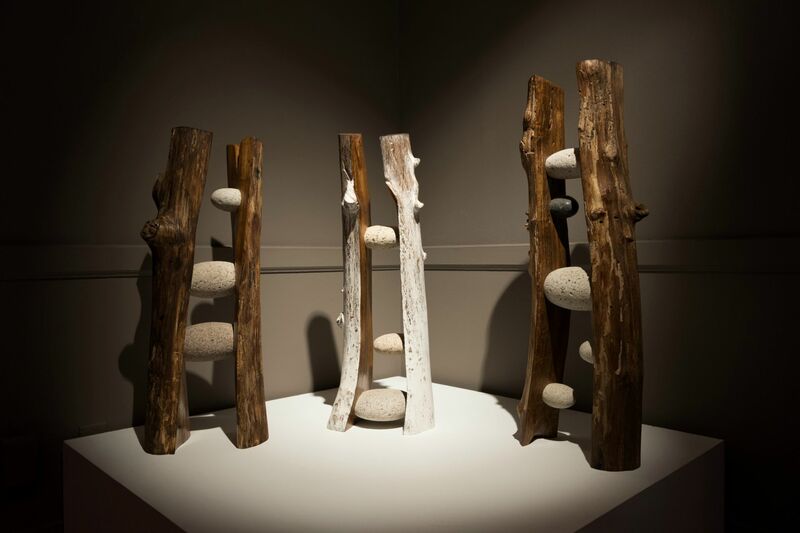 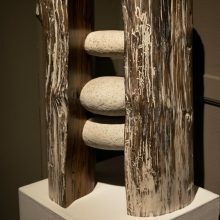 With assemblage made from both organic and manmade materials, Monica Wyatt challenges the viewer to consider the aesthetic qualities of each as they contribute to her compositions. 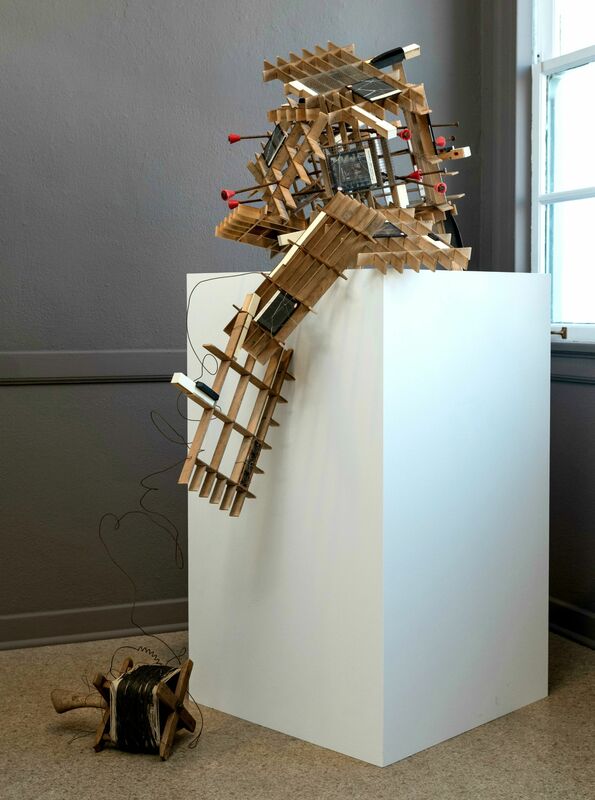 She makes electric capacitors look like plants and zip ties mimic deep sea life in order to further a dialog about preserving all the things we should hold dear.